If, as venture capitalist Marc Andreessen famously declared, "software is eating the world," then it seems fitting that a company named Chef would cook up a successful recipe to help make that happen. Seattle-based Chef provides a DevOps automation model that turns infrastructure into code. Chef’s goal is to enable businesses of all types to stay competitive and agile by transitioning them into software-driven companies. Consider high-end retailer Nordstrom, one of Chef’s 750-plus customers. Leadership at the department store chain realized that its biggest emerging competitor isn’t Bloomingdale’s or Barney’s -- it’s Amazon, which sells fashionable clothing along with nearly everything else on the planet. Nordstrom's management team realized that in order to compete against a software-driven e-commerce giant, you must become a software-driven company. DevOps "has become the market term that defines the transition to being a software-led business," says Jay Wampold, Chef’s vice president of marketing. He goes on to say that Chef, "was born with the DevOps movement, and our founders were founders of the movement." 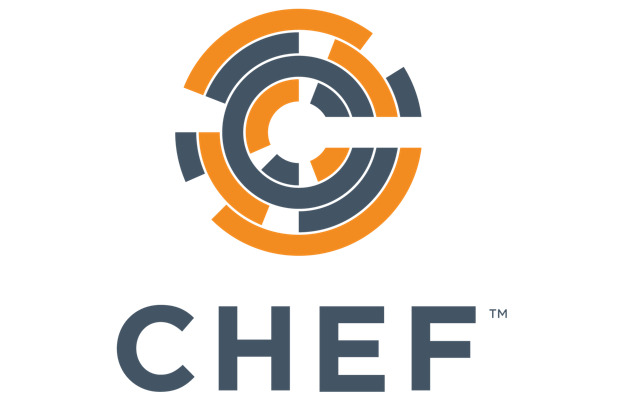 Chef was founded as Opscode in 2008 by Adam Jacob, Jesse Robbins, Barry Steinglass, and Nathan Haneysmith. Chef is showing traction in multiple areas. Employee count is currently about 225 and has doubled each year, according to Wampold. The company is global, with offices in San Francisco and London, as well as their Seattle HQ. Downloads of Chef’s software have reached more than 20 million with an annual recurring revenue growth of 379 percent for Q1 2015 versus 68 percent for Q1 2014. The need for businesses to become software-driven today has its roots with Amazon, Facebook and Google. The tech giants figured out how to leverage large-scale computing to rapidly deliver goods and services, Wampold explains and he goes to say that their success has changed consumer behavior and expectations. Those new consumer behaviors and expectations are no longer aimed strictly at the Facebooks of the world. Banks are another example of why, "every company has to be a software company today", Wampold says. Check deposits and fund transfers are often performed via a bank’s mobile app. As a result, many consumers now choose their bank at least partly based on how good its mobile app is. The drive to service customers through software has shifted the nature of IT as well. "The role of IT was always to be a back-office support operation," says Wampold, "Now it has to be the front-office way you deliver value to users." Chef has gained traction by doing for the IT industry what Ford did for automobile manufacturing, says Wampold. The company has created, "an automated assembly line for how innovation and value gets delivered through software." Its name comes from the idea that Chef’s software lets businesses create recipes for automating certain components of their infrastructure and scaling it across millions of compute nodes. To date, Chef has received funding totaling at least $97 million, starting with a $2.5 million series A in 2009. Investors include Draper Fisher Jurvetson, Citi Ventures, and Battery Ventures. 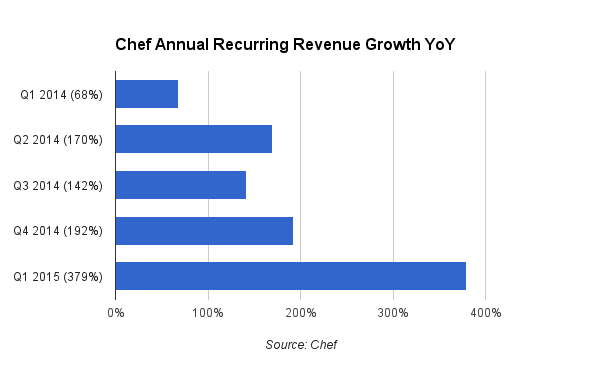 Like any company experiencing traction, Chef has had its growing pains. One example, is the challenge of continuing to scale while keeping a growing base of customers happy. Another is to maintain its position in an increasingly competitive market. Competitors in the IT automation sector include Puppet Labs, SaltStack, Ansible and CFEngine. "The pace of change in technology in this sector is unprecedented," says Wampold, "We want to make sure we are at the front and center of innovation changes, and that’s a big investment to make." Editor’s note: Traction Watch is a new column focused obsessively on growth, and is a companion to the DEMO Traction conference series, which brings together high-growth startups with high-potential customers. The next DEMO Traction will take place in Boston on September 16, 2015. Growth companies can apply to present, or those similarly obsessed can register here to attend.